With increasing numbers of communication channels, savvy customers and advanced technologies making it easier to tune out of the onslaught of messages, marketing teams must provide constant, finely tuned and targeted messages to keep their customers enegaged. Couple this with new business processes and technology can lead to a constant struggle for a marketing organisation to ensure that the work is completed. 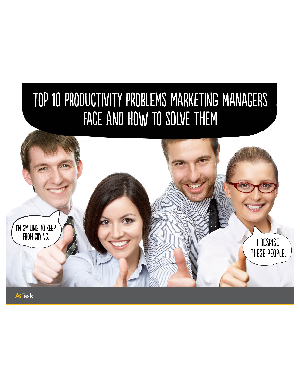 Download this white paper to take a look at these issues whilst providing new and trusted solutions to help increase the productivity of both you and your team.